I adore The Odd Life of Timothy Green. Do any of you have that slightly embarrassing movie that you love, and watch about yearly, but pretty much keep a secret? That is Timothy Green for me. Of course, now I'm revealing that secret to the Internet, but it is what it is. 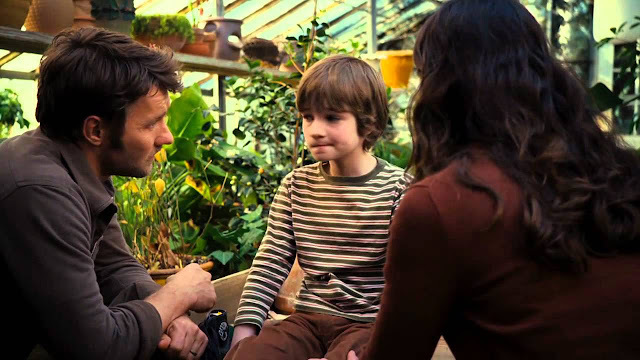 The Odd Life of Timothy Green tells the story of a pushing-middle-age couple, Cindy and Jim, who must finally come to terms with their childlessness. One night, in the midst of their sorrow, they write a list of all the qualities they always hoped their child would have, then lock the list in a box and bury it in a garden--essentially, burying their dream. "We can get a puppy," says Cindy in a thick voice, teetering between resignation and bitterness. But they don't get a puppy. Instead, they crawl into bed, exhausted, sharing a burden too great for words. Then a filthy child appears in their home. And in place of their buried dream lies only an empty hole. What follows is a tale swelling with magical realism, a little lead played to adorable perfection, and one of my favorite soundtracks. The family is beautiful. I absolutely love the characters of Jim and Cindy. They are so quirky and painfully real, trying so hard to parent this child whom they fully believe was gifted to them. And how are they supposed to explain their new child? Believe it or not, "He came from the yard," serves as a less-than-satisfactory answer to virtually everyone in their lives--people who think their longing for a child must have driven them to insanity. Cindy and Jim don't care. They love their child. They accept him--and all his social clumsiness, his honest-to-a-fault-ness, his kick-the-ball-into-the-wrong-goal-ness. But there's a catch. Since this little boy crawled out of a garden, he comes with some leaves, each leaf representing an act of kindness or a gift he must give away. When all his leaves are gone, he must go away, too. And for you guys, here's what I know. If you came to me and said, "There are two people in the world who want you more than anything. They'll do their best. They'll make some mistakes. And you'll only get them for a short time. But they will love you more than you can ever imagine." Well, when that's true, I'd say so much is possible. more than you can ever imagine." Fast-forward over five years since I first saw this movie, and I pick up The Snow Child (pictured at the top of this review) simply because of the cover, and for literally no other reason. Look at it! It's so cute. As I knew nothing about this story, it caught me completely by surprise to notice the immediate parallels between this book and my beloved Timothy Green. Published in 2012--the same year The Odd Life of Timothy Green played in theaters--The Snow Child introduces us to a couple, Jack and Mabel, living in the harsh realities of 1920s Alaska. Like Jim and Cindy, Jack and Mabel are childless, but unlike them, they are well into their fifties--far beyond the hope of ever possibly having a child. And further unlike Jim and Cindy, there is a rift between them--the sorrow of infertility and a stillbirth has done its damage and driven a wall around their hearts. One night, on a whim, they build a little snow girl, outfit her in Mabel's red mittens and scarf, and leave her under the bleak, eternally dark sky of the Alaskan wilderness. And when they find the snow girl trampled, the hat and mittens gone, what do they find on their doorstep but an eight-year-old girl, unnaturally pale and fragile, trimmed in the familiar red yarn, with the wildness of ice and wind in her eyes. Not accepting her as a supernatural gift quuuiite as quickly as our movie friends, Jack and Mabel invite her into the cabin for dinner...but inside, by the fire, she starts sweating, wilting, and soon she dashes outside, disappearing. So begins her cycle of vanishing and coming back, for years, and as Jack and Mabel repair their marriage and experience the joys of this child, solving the mystery of her through more plot twists than I care to spoil, you get the same squirming sense. The feeling that this is not quite right. Given that this is an adult novel and not a Disney movie, the tragedy comes, darker and grittier than Timothy Green's, but Jack and Mabel get their recompense just as Jim and Cindy do. Their Snow Child melts away, but not all their joy with her. There is a surprise. At the end, you feel the weight, the heaviness of sorrow and joy and so much love for a child. The Snow Child is based on, and references quite frequently throughout its own pages, the Russian folktale Snegurochka, or The Snow Maiden, a simple short story of a childless elderly couple who build a snow girl that comes to life. The snow girl of the original story meets her end in a variety of ways depending on the version, anything from melting by a campfire to fading with spring to dying along with the pet fox to whom her soul is tied. Unlike its source material, or Timothy Green for that matter, The Snow Child is written in a way so you can't quite tell if the child is real or merely a figment of craziness brought on by the darkness and total isolation of an Alaskan winter, and even Jack and Mabel themselves are not so sure, sometimes fearing for their own sanity. It is the sudden revelation of whether or not she is real that makes one of the plot twists so astounding. 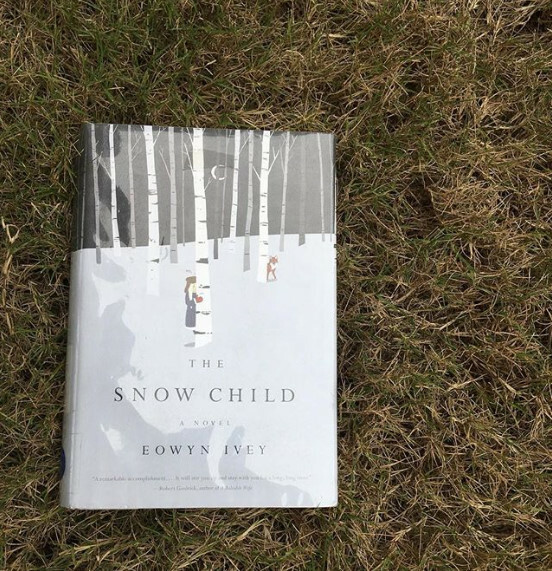 Both The Snow Child and The Odd Life of Timothy Green give us the honest love and struggles of a married couple (whom I fell in love with in both accounts) and the question of how far the longing for a child will drive a person. Both are strange in their own right. Both will shake you inside. Both will linger for awhile. And both are tales worth your time.